We are very pleased to release the final set of recorded presentations focusing on Final Cut Pro X in Broadcast recorded at this year's FCPXWorld in Amsterdam. Our final set of four includes Ronny Courtens taking a look at how Final Cut Pro X is used extensively in Europe, as well as Roger from CoreMelt discussing how Cloud based transcriptions services are now getting to the point where they can be fast and accurate enough to assist video editors. Roger explains how Lumberjack Builder considers the entire workflow and uses the most up to date speech to text and Natural Language Processing technology to automatically extract keywords, concepts and emotion from your footage and create keyword ranges. We finish off with Brian Gaffney from CODEX will show how to easily clone, copy and transcode RAW files with colour and audio applied into the standard ProRes format ideal for editing in Final Cut Pro X. We hope you're informed and little entertained, feel free to contact us should you have any questions. Roger discusses how Cloud based transcriptions services are now getting to the point where they can be fast and accurate enough to assist video editors. In particular if you have extensive rushes with dialogue for a documentary, news or unscripted TV of any type you can accelerate your editing workflow many times over by using text based Dialogue search to organise your footage. Roger will demonstrate various workflows and techniques using the Scribeomatic software. 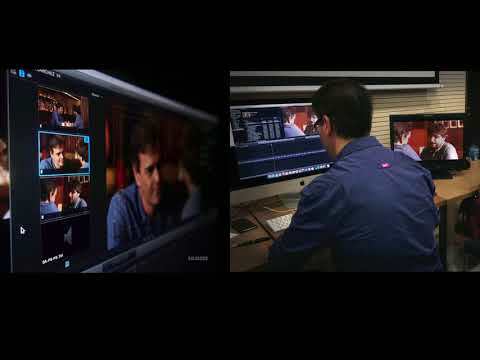 Brian will demonstrate and discuss RAW workflows from Camera to Final Cut Pro. He will show how to easily clone, copy and transcode RAW files with colour and audio applied into the standard ProRes format ideal for editing in Final Cut Pro X.Kevin demonstrates the fundamentals of asset management utilising Final Cut Pro X library sharing on a SAN, sharing metadata, and enabling collaboration on Final Cut Pro X.